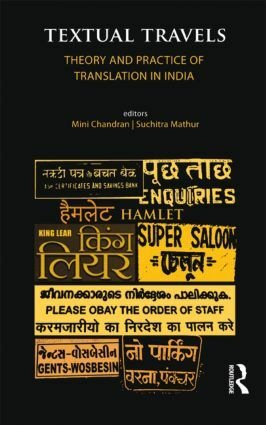 This book presents a comprehensive account of the theory and practice of translation in India in combining both its functional and literary aspects. It explores how the cultural politics of globalization is played out most powerfully in the realm of popular culture, and especially the role of translation in its practical facets, ranging from the fields of literature and publishing to media and sports. Mini Chandran is Associate Professor, Department of Humanities and Social Sciences, Indian Institute of Technology Kanpur. Suchitra Mathur is Associate Professor of English in the Department of Humanities and Social Sciences, Indian Institute of Technology Kanpur.